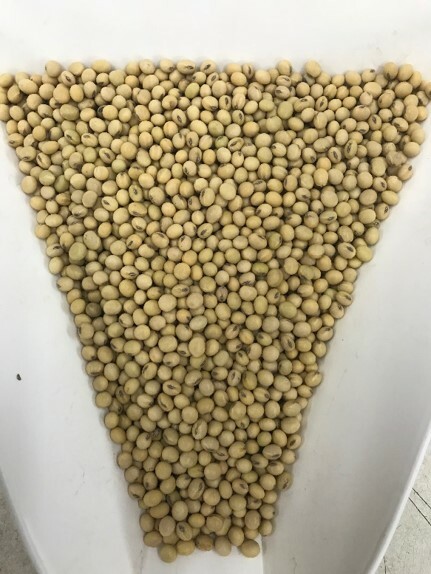 ​​​​​​​MINNETONKA, Minn., USA, Feb. 06, 2019– Despite industrywide concerns over soybean seed quality going into 2019, Syngenta anticipates growers of NK® soybeans will experience minimal to no effect. ​​​​​​​The challenging growing season of 2018 left its mark on 2019 grain quality across the U.S. According to the University of Wisconsin Extension, diseases such as stem canker, pod and stem blight, and Phomopsis seed decay lowered soybean seed quality in many regions, while excessive fall rain resulted in a high percentage of pod infection and a delayed harvest that compounded issues. One of these is a rigorous seed quality program that grows, cleans and conditions all NK soybean seed to the highest quality standards. From the seed breeder to the final seed delivery, testing also plays a crucial role, with Syngenta operating three internal quality assurance labs and utilizing two third-party testing sites – all to ensure farmers will benefit from the seed’s full yield potential. An additional benefit for growers of NK soybeans is clear tagging of germination rates, which can be impacted by grain quality. To provide clarity for farmers and help them be confident in their management plans, all NK varieties are tagged by minimum germination rates. Less than 2 percent of NK seed volume saw germination rates lowered by 2018’s weather challenges. Even then, the yield impact is expected to be virtually non-existent, Erickson said, with no need to plant additional seed to compensate for losses. To learn more, contact a local NK retailer or visit www.NKsoybeans.com. Join the conversation online – connect with Syngenta at Syngenta-us.com/social. NK offers farmers a science-driven boost to their seed portfolios. Our researchers tap into “big data” to drive innovation that helps farmers spread risk and maximize whole crop return. Plant the Seeds of ChangeSM to see the difference that innovation can make. Syngenta is a leading agriculture company helping to improve global food security by enabling millions of farmers to make better use of available resources. Through world class science and innovative crop solutions, our 28,000 people in over 90 countries are working to transform how crops are grown. We are committed to rescuing land from degradation, enhancing biodiversity and revitalizing rural communities. To learn more visit www.syngenta.com and www.goodgrowthplan.com. Follow us on Twitter at www.twitter.com/Syngenta and www.twitter.com/SyngentaUS. Syngenta hereby disclaims liability for third-party websites. ©2019 Syngenta, 11055 Wayzata Boulevard, Minnetonka, MN 55305. NK®, Plant the Seeds of ChangeSM, and the Syngenta logo are trademarks of a Syngenta Group Company. All other trademarks are the property of their respective owners.